From among the various types of childhood cancers prevalent in India, 60% to 85% are acute lymphoblastic leukaemia. 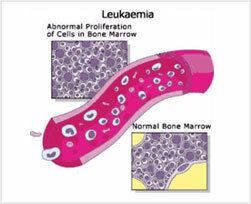 Childhood acute lymphoblastic leukaemia is a cancer of the blood and bone marrow. In several clinical studies conducted to evaluate safety and efficacy of umbilical cord blood transplantation, patients that received umbilical cord blood, showed an overall good survival rate. One of the studies conducted by Veronika Bachanova and associates at University of Minnesota, Minneapolis demonstrated 81% survival rate in 22 acute lymphoblastic leukaemia patients when treated with umbilical cord blood cells.